Usually when something is black and blue, it’s a bad or painful thing. But with Reebok Men’s Black/Blue RB4830 Ateron Steel Toe EH Athletic Shoes, it’s just the opposite. The men's shoes are all about safety and comfort. The performance cross trainer styl ... (see full details) (see specifications) #RBKRB4830. Usually when something is black and blue, it’s a bad or painful thing. But with Reebok Men’s Black/Blue RB4830 Ateron Steel Toe EH Athletic Shoes, it’s just the opposite. The men's shoes are all about safety and comfort. The performance cross trainer style of this footwear is comfortable and attractive, with the black uppers nicely trimmed with blue. These Ateron shoes are crafted from premium full-grain leather. This high-quality material is durable and water-resistant, while also remaining breathable. Inside, nylon mesh lining creates a foot cooling system to keep your feet dry, cool, and comfortable. The removable EVA cushion inserts with sponge rubber heel wedges all offes lightweight, flexible comfort for you. There are injected EVA cushion midsoles to provide you with all-day comfort. EVA is an ideal material because it’s soft and cushioning. And to really avoid getting black and blue, this footwear is made with safety features. You’ll stay on your feet with the slip-, oil-, and chemical-resistant dual-density rubber outsoles. Steel toe caps protect your feet from hazards, such as falling objects or accidental compaction. EH (electrical hazard) rated soles and heels shield you from contact with live electrical circuits. These slip-resistant shoes meet or exceed standards for ASTM F2413, as well as an EH rating. Also, there's no exposed metal on the uppers, so this means you'll meet scratch-resistant workplace regulations when you're wearing these steel toe shoes. The only time your feet should be black and blue is when they’re comfortably in a pair of Reebok Men’s Black/Blue RB4830 Ateron Steel Toe Athletic EH Shoes. Get yourself a pair today from Working Person's Store! Although, I waited a while for the shoes due to a shipping problem with UPS and USPS. The wait was worth it. Comfortable, true sizing, stylish and did I say comfortable. I work on the ramp at an airport. On concrete all day. Day 1 required no break-in period. Although I alternate shoes every 3rd day, I look forward to wearing these shoes. These shoes are very comfortable. I was amazed at how light these are. I run a department for a large company so constant walking all night is part of the job. These shoes do not disappoint. Lots of guys commented on how good they looked too. They are also very easy to clean. 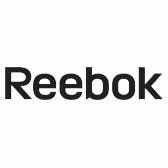 Reebok Shoes: Men's RB4830 Steel Toe Black/Blue EH Athletic Work Shoes is being added to your cart.